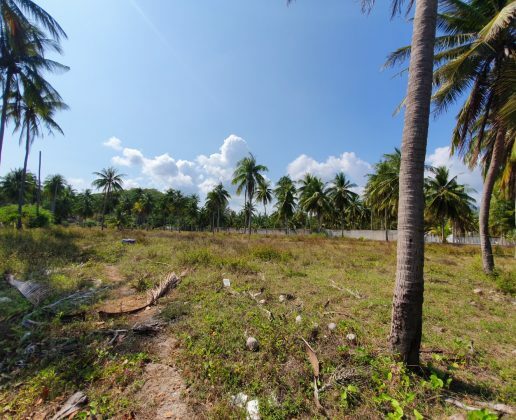 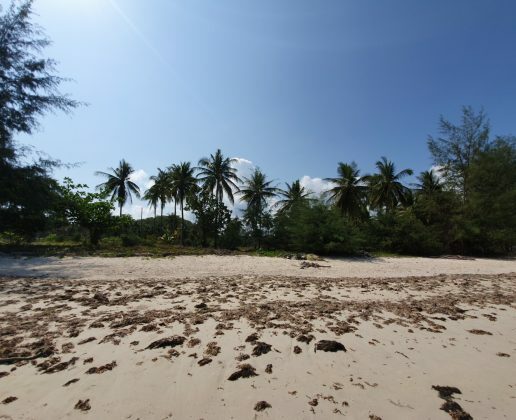 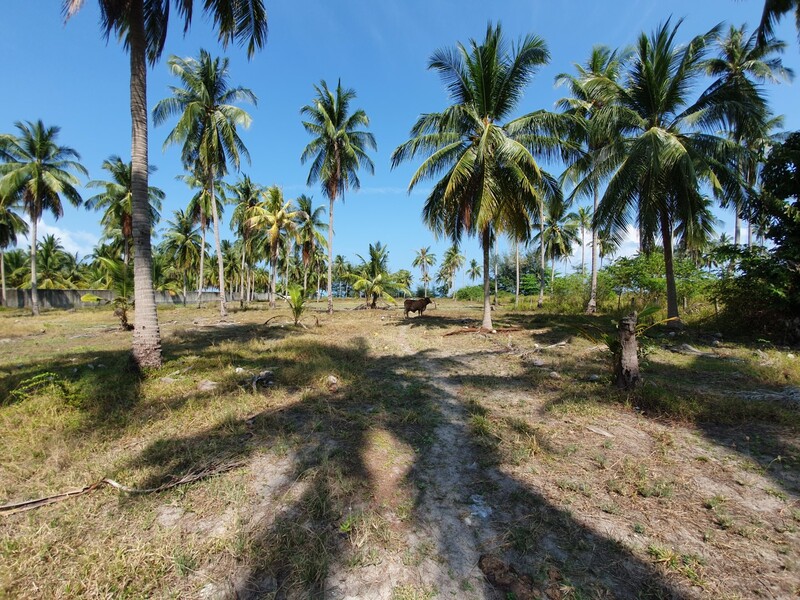 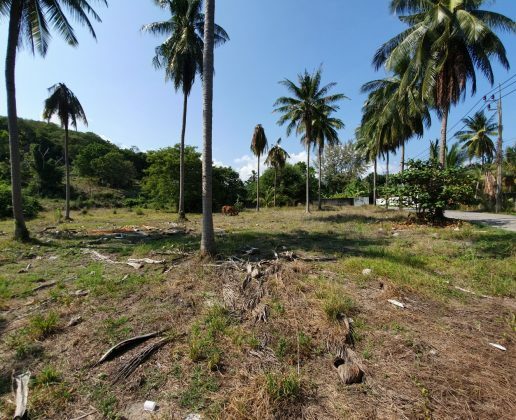 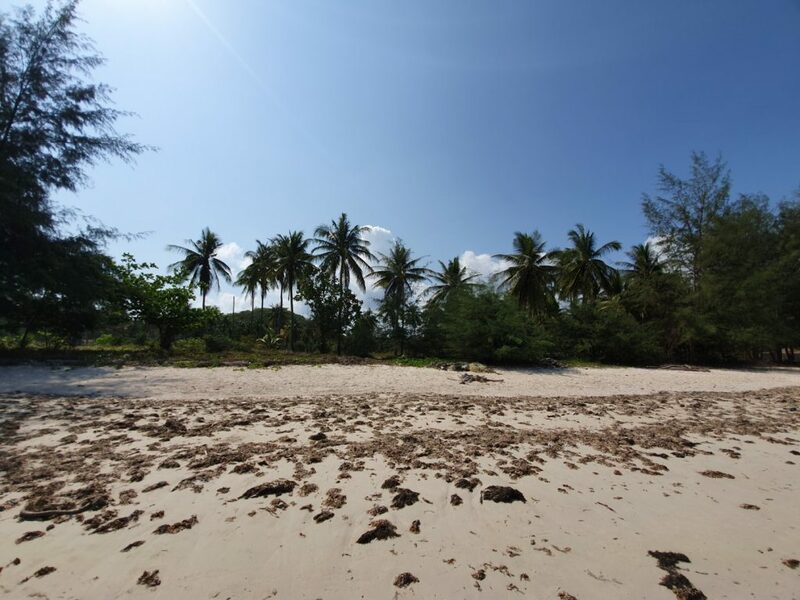 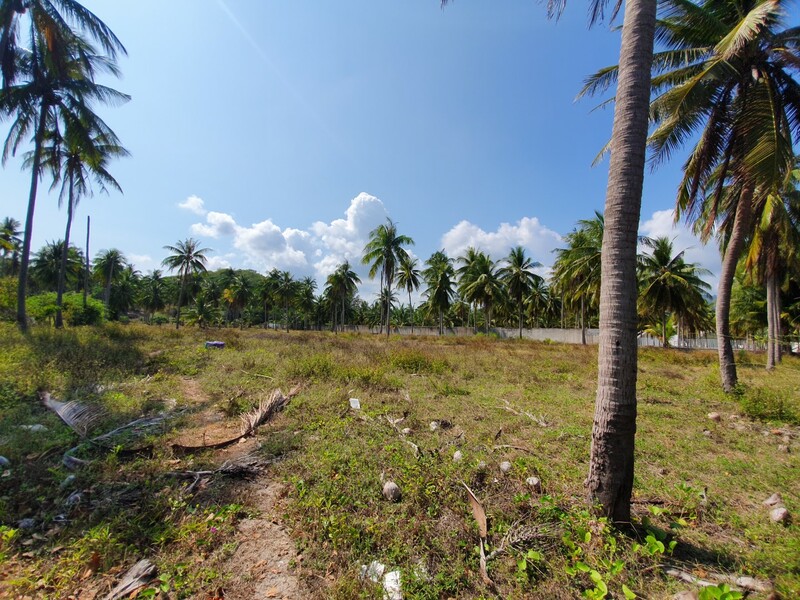 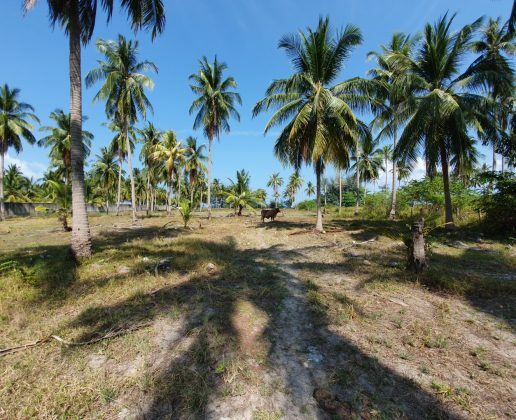 Beautiful beach land located in an unspoiled area. 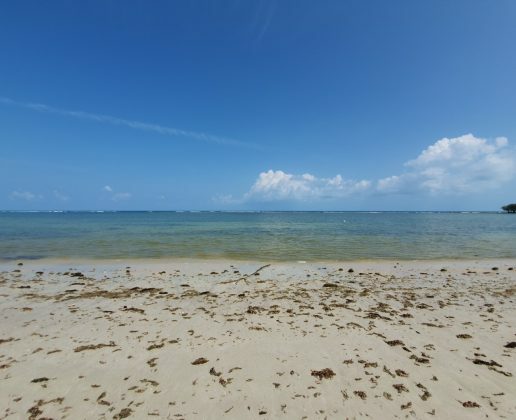 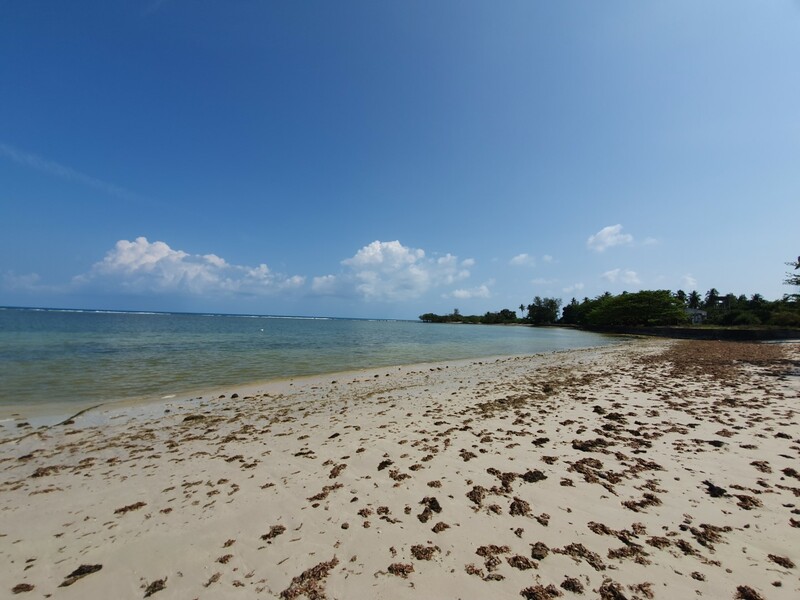 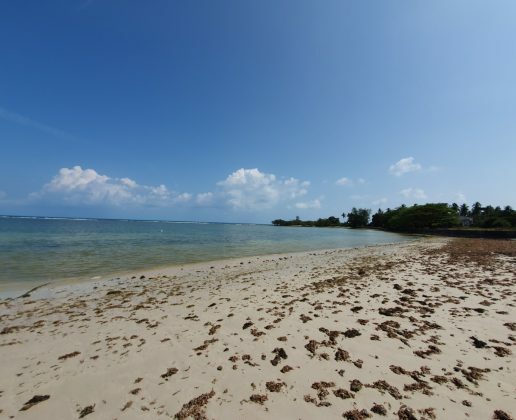 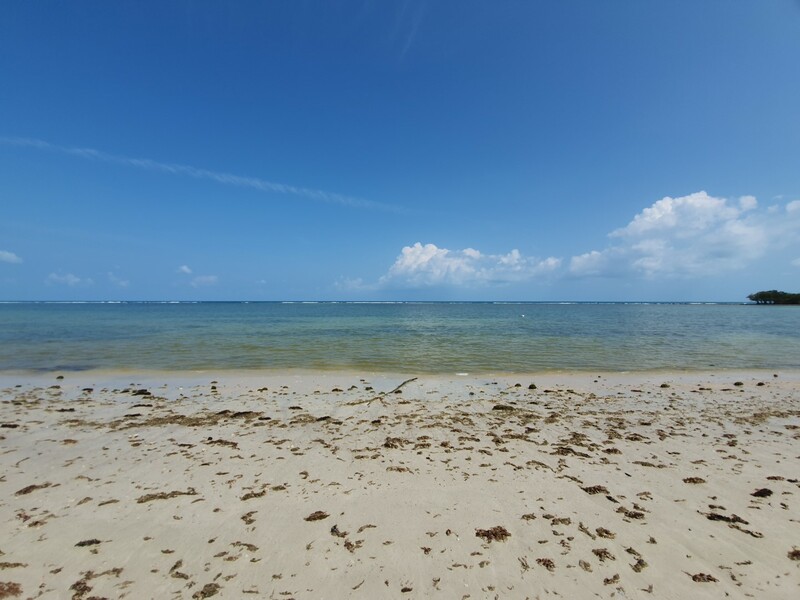 The land has a beach frontage and general width of 60 meters. 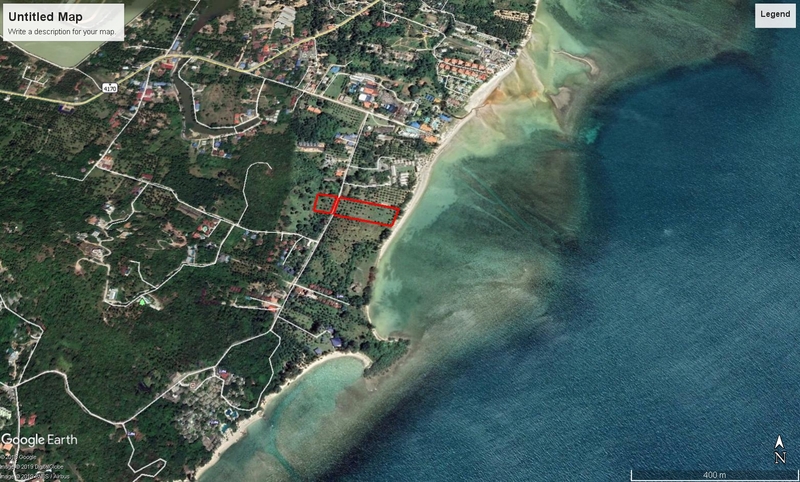 The length of the land extends back 170 meters where it borders a 6 meter wide government road with another section of land measuring approximately 50 x 50 meters that borders the far side of the road. 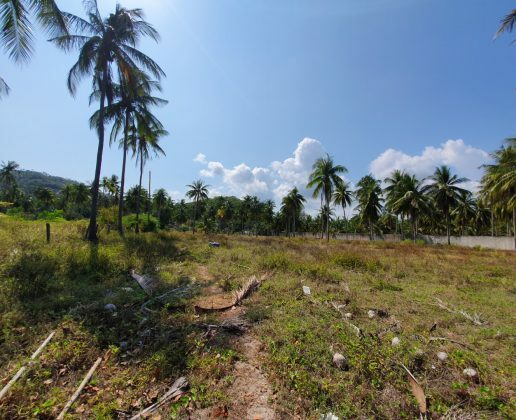 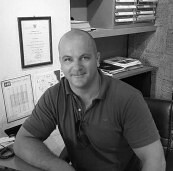 The smaller sections of land would be ideal for car parking, staff accommodation and plant/storage areas. 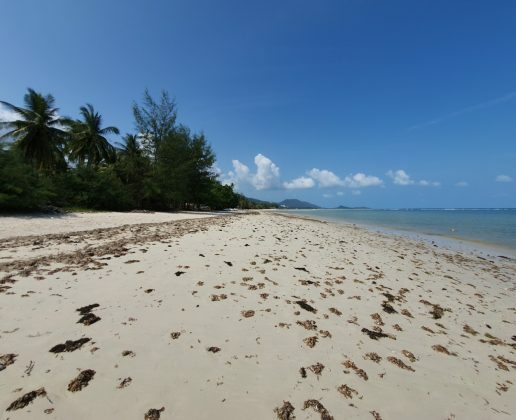 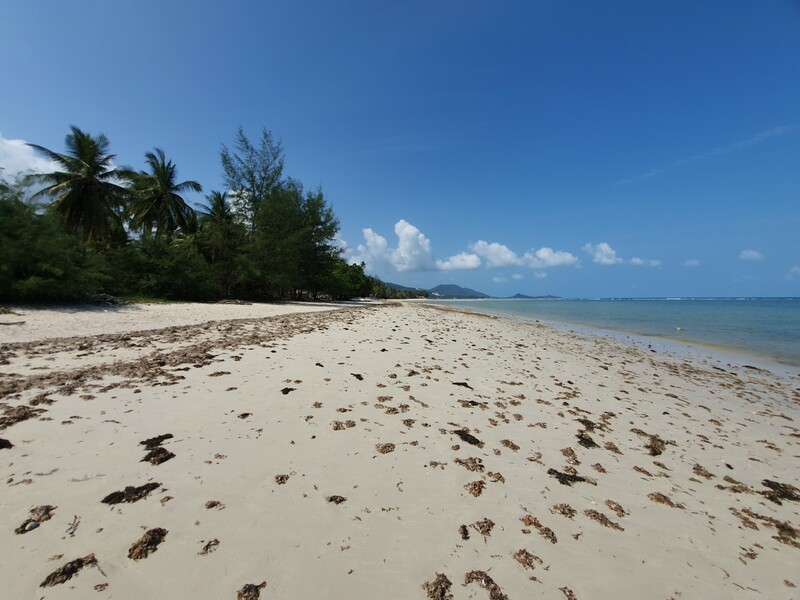 The area is peaceful and serene and is located just 350 meters from the Samui Aquarium and 3.5 Km’s from Lamai beach. 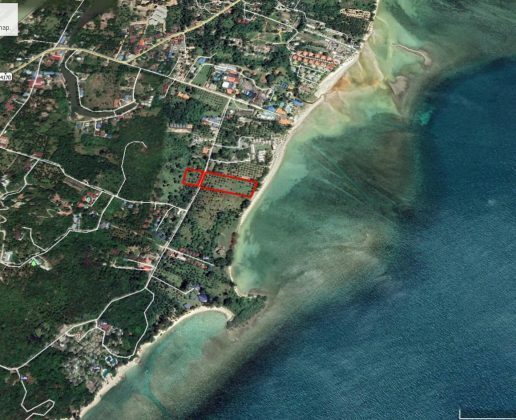 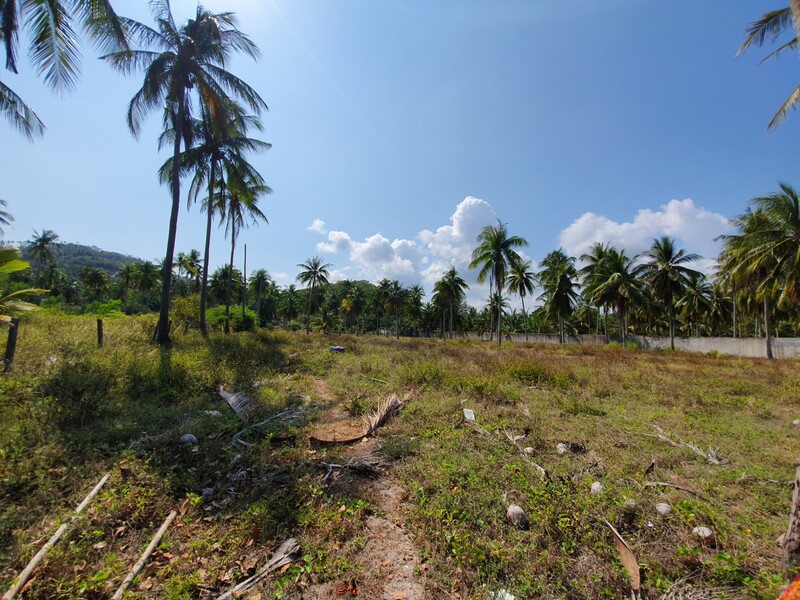 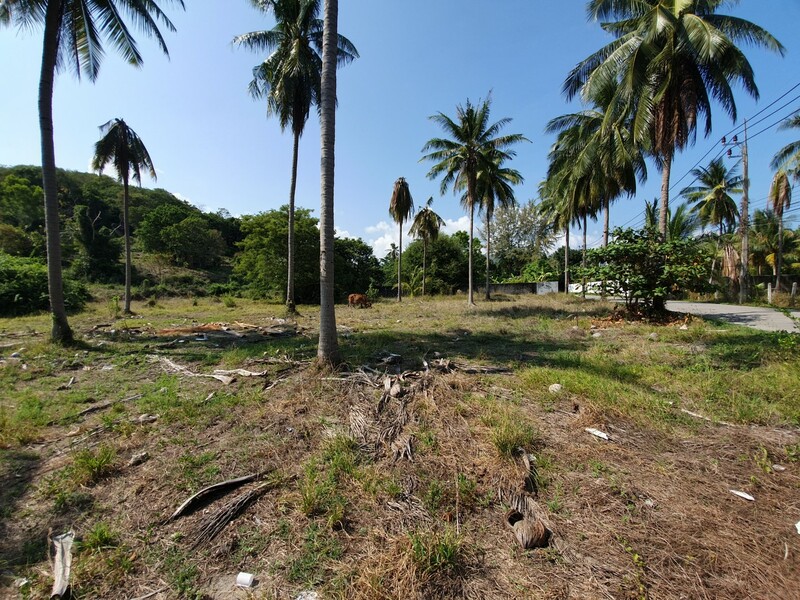 The land is flat and easy to build upon and would ideally suit a resort/retreat or an exclusive residential community, viewing is highly recommended.